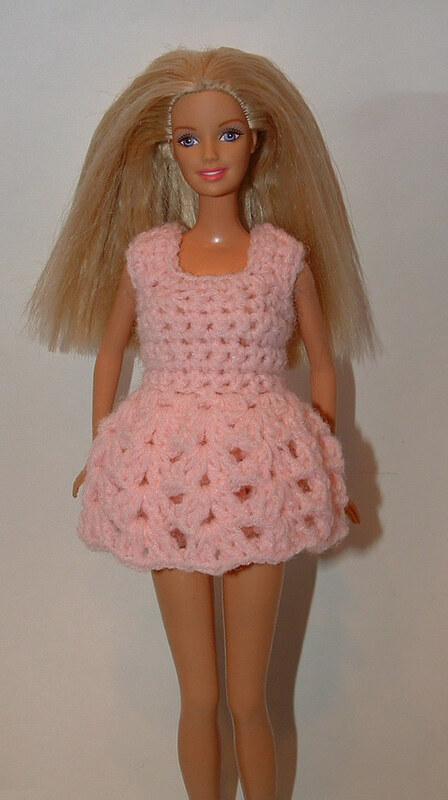 Here is a Barbie baby doll top that I crocheted. I added a pair of my Barbie bloomers to complete the set which makes cute baby doll PJs for Barbie. This set is designed for a Barbie doll with a 3-1/2″ waist and 5-1/4″ hips. You can just crochet the baby doll top and mix and match it with a skirt or pants to create different outfits for Barbie. You could also make the top longer by repeating Row 11 to crochet a cute Barbie dress. Enjoy the free crochet Barbie baby doll top pattern below.